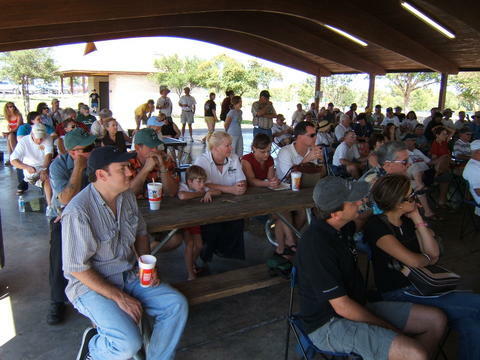 The 2006 Texas All British Car Day was held in Round Rock, Texas (north of Austin). 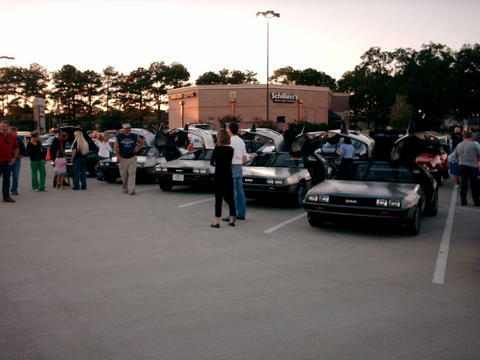 Ten Deloreans showed, with seven of them being from Houston. #1, At a gas stop along the way to Austin/Round Rock. 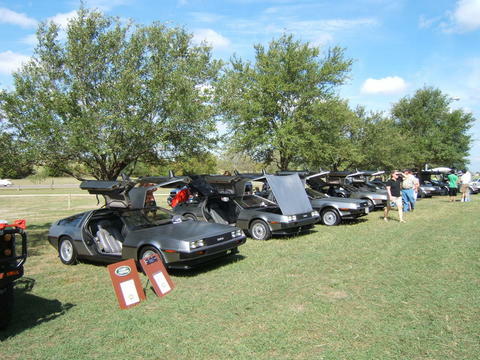 #2, The cars lined up at the show in Old Settler's Park in Round Rock. Four cars show at the Niftee50ees Halloween Car Show (Bill Ballard, Shannon Birdwell, Thomas Kidd, Brandon Mims). 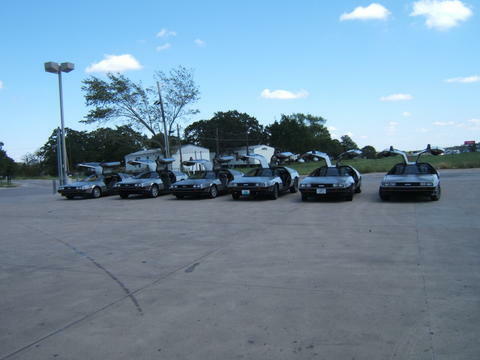 This is a very popular show, with up to 300 cars, and their owners [many] in costume. 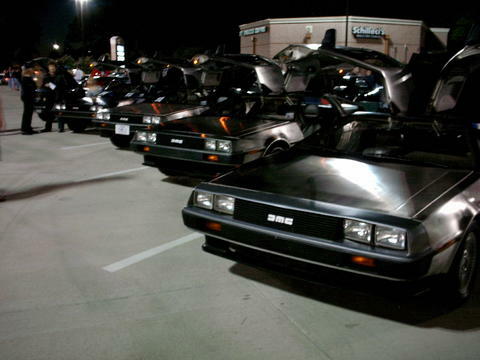 Entrants are required to be 1979 or older, but management repeatedly has made exceptions for the DeLorean club. #1, All the cars are spit shined (actually, Bill's purple stuff) and polished. 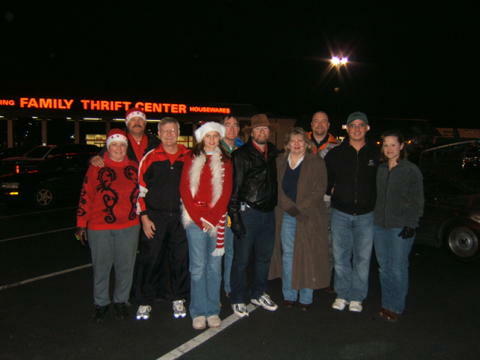 It was VERY cold but we nevertheless had a good showing with six cars (Ballard, Birdwell, Dartt, Kidd, Mims, North). 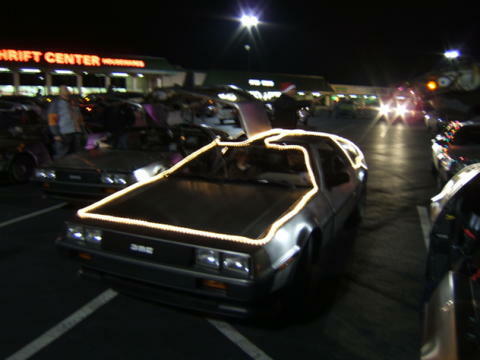 We learned a number of things about electricity with this outing, and how the crowd prefers DeLorean doors up, no matter how cold it is outside! 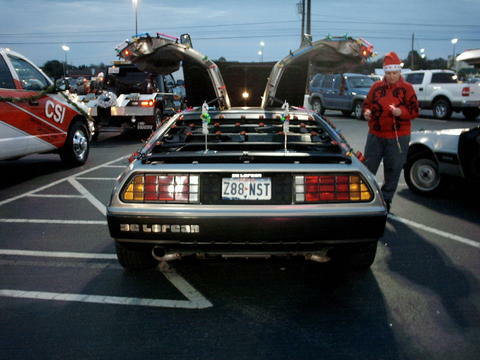 #1, At the staging area before the parade, final preparations are made to the cars to display lights while in motion. #2, Group shot of a very cold group. 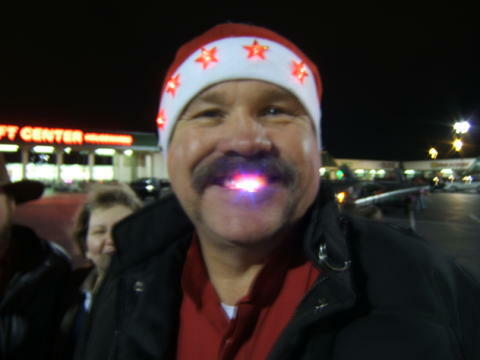 #4, Bill's teeth shine too, especially at night. This run started in Humble and went to Conroe, and ended with dinner back in Houston at the Saltgrass restaurant. 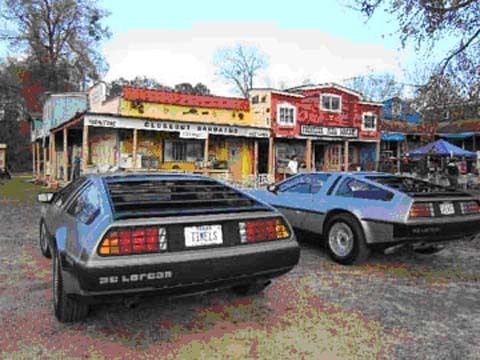 #1, WOW, two DeLoreans for sale at a flee-market. Amazing what all you can find at one of these things!